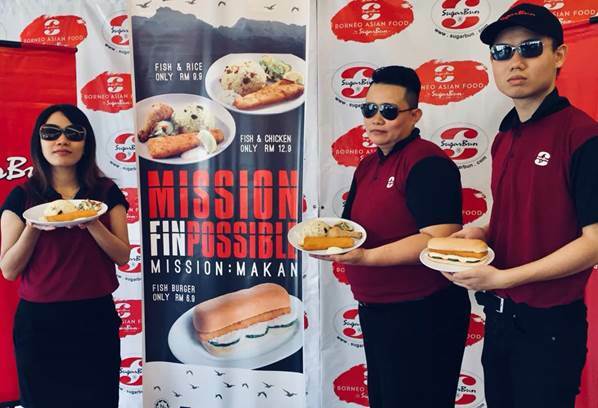 East Malaysia’s leading quick service restaurant – SugarBun – has set the local F&B scene alight with its contemporary move of adopting a trendy food court concept highlighting a line of kiosks with each offering a unique dish from Borneo. Replacement of the common quick service restaurant (QSR) counter to an industrial chic kiosk allows casual diners to have more focus and ease in ordering whilst displaying visibility of food preparation and more personal customer service interaction. 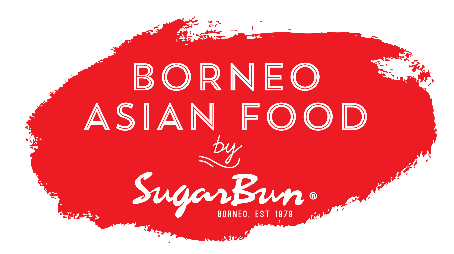 Making its West Malaysia debut at Menara Hap Seng, Kuala Lumpur in 2016, there is now a total of 5 Borneo Asian Food by SugarBun throughout the peninsular. Foreseeing the rise of popularity for authentic Borneo cuisine, Borneo Asian Food brings to life popular Borneo products and dishes such as the famed Mackerel and Tilapia, Sabah’s Giant Garoupa, and Sarawak’s famous, Sarawak Laksa and three-layer tea. These unique products are not available at any other QSRs. 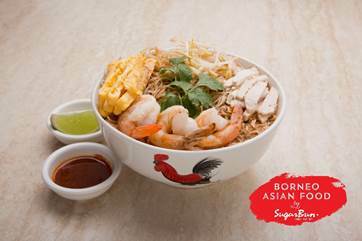 In addition, Borneo Asian Food by SugarBun also retains its classic menu of fish burgers, savory rice and, since 1979, Sugarbun’s hugely popular broasted chicken dishes. Nostalgic to every East Malaysian! 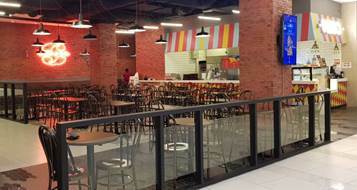 Following its huge success at Menara Hap Seng, Borneo Asian Food by SugarBun announced its arrival at Melawati Mall in 2016. Located next to Golden Screen Cinemas, the setting has proven to be extremely popular with movie-goers, together with shoppers looking for a quick lunch. The outlet also provides catering services for events (up to 100 people). 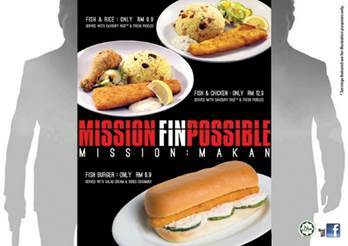 Going back to movie buffs, SugarBun has recently announced its July 2018 promotional campaign entitled “Mission Finpossible, Mission: Makan” applicable at all SugarBun and Borneo Asian Food outlets nationwide. The promotion runs from 16 July to 15 August 2018, and involves classic favorites including fish burger, fish fillet & savory rice, and fish fillet, broasted chicken & savory rice offers. What’s more, SugarBun is also organizing an online competition to win Free GSC movie passes at select GSC Outlets. Borneo Asian Food would also like to invite all Sarawakians for their Sarawak Day Promotion starting 22nd July – 25th July n2018.